Lots has happened on this wonderful project. This massive relocation of equipment from a sister API Foils location is nearing completion. This called for a new facility expansion that has been completed and now serves as home for relocated equipment. 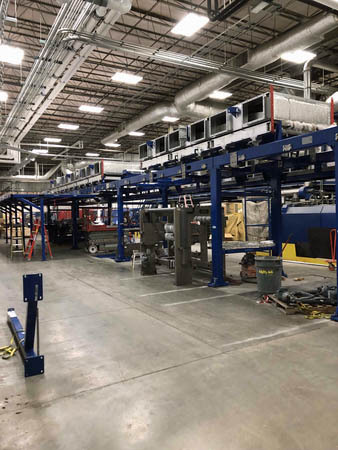 New support areas and mechanical and electrical upgrades were required to support the equipment which will double the production of materials by API Foils. Steve Schrader the project superintendent has worked hand-in-hand with the API Engineers to assure all tasks were completed and in place when equipment arrived.